Hello, I'm Liz Johnson your local behaviour therapist for Bark Busters Home Dog Training Sunderland. I’ve been the Bark Busters Home Dog Training therapist in this area for over 10 years. 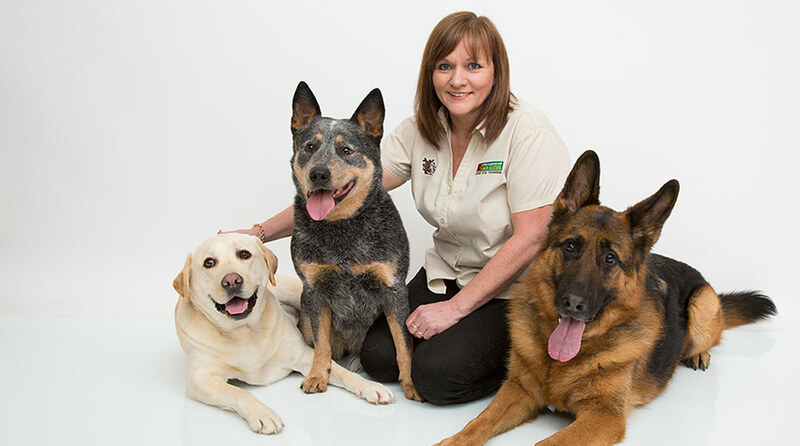 I am confident that I can help you with whatever dog behaviour problems you are having by teaching and guiding you on how to use our simple to follow dog training system. Experience has taught me the value of understanding the needs of both the client and their dog. This means that every training session is tailored to your specific needs, your time constraints, and the personality of your dog. As the training takes place in your home, your dog will be less stressed, more relaxed and behave naturally, as will you. This means that you will both find it easier to learn without pressure or judgement. The Bark Busters training methods make it possible to resolve dog behaviour issues; It creates relaxed and contented dogs living with empowered owners! That's what makes my job so rewarding and why I love being part of the Bark Busters team. My career as a dog trainer came from unusual beginnings. I was working as a freelance journalist in London when I came across a story about Bark Busters successfully changing the life of a nervous Rottweiler that had been too scared to leave the house. By training the dog and the owners together, he learnt to trust his owners and was soon walking happily to the park every day. This story led me to research further into the Bark Busters training methods, and their success stories. What I didn’t know then was that this research would change the direction of my life by inspiring me to train to become a Bark Busters Home Dog Training therapist myself in the North East and Sunderland areas. Not only did I love the ethos of the training system, I was able to gain first-hand experience of its effectiveness. I was able to put the techniques into practice with my own dog who I had recently rescued, and who was causing a nuisance in the neighbourhood with his constant barking, and his dog and stranger aggression. I saw how quickly he responded to my newly-acquired knowledge of how to be a kind, consistent and reliable leader, and he was soon far more relaxed knowing that he did not need to worry about other dogs, strangers, or people walking past the house. I was absolutely delighted, as were my neighbours! It’s because of the rewards that come from knowing how to communicate with dogs in a gentle force-free way that I love passing on as much knowledge as possible to my clients. My job satisfaction comes from seeing the changes in the dog/owner relationship, and from seeing my clients’ new-found respect and love for their dog. Whatever dog behaviour issues you might be struggling with, I’m confident I can help. From separation anxiety, pulling on the lead, walking, recall, barking, sibling rivalry, dog aggression, stranger aggression, to constant jumping up or, indeed, any other form of unwanted behaviour from your dog, I’m positive that I will be able to help you just like I have done with hundreds of clients before. My job is to show and guide you through the training process without judgement, and to support you every step of the way. At the end of our first lesson, you will receive from me a set of written guidelines, notes and training instruction as well as printed material that consolidate your understanding of what you have learnt during the lesson. After that, my support guarantee means that I will be available to help and support you throughout the duration of the term that you have purchased. Bark Busters has been around for over 28 years, and we are constantly updating our knowledge base. Our holistic approach means that we look at every aspect of a dog's life that might impact their behaviour. 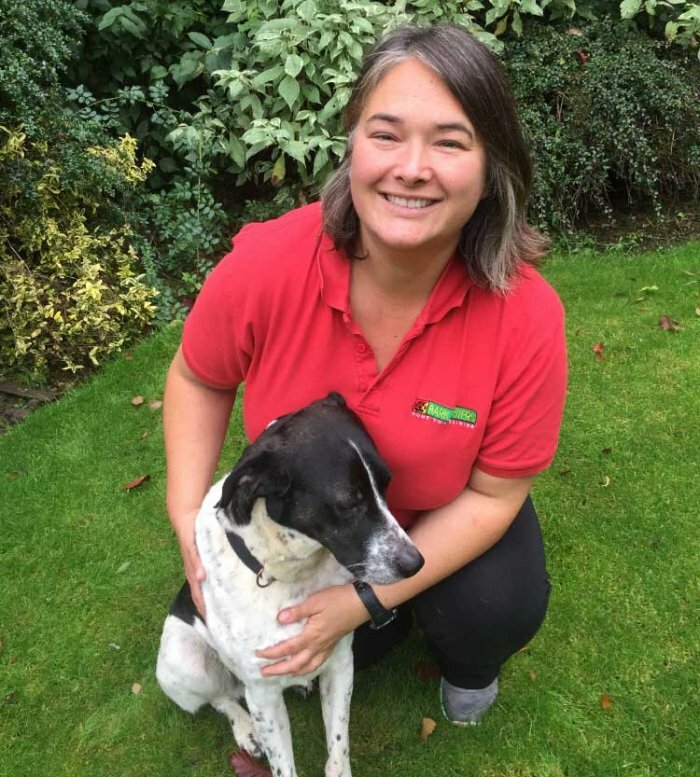 If you’d like to improve your relationship with your furry friend, make walks more enjoyable, and feel confident in your dog’s behaviour, give me a call, I’d love to meet you and your dog.